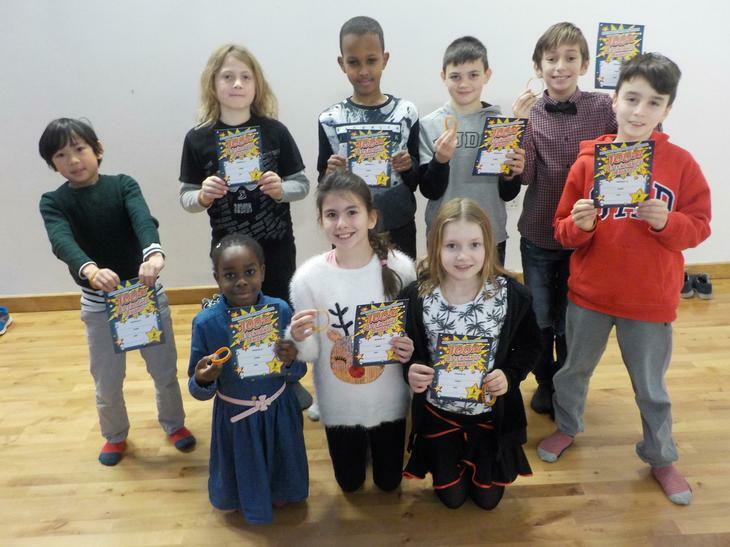 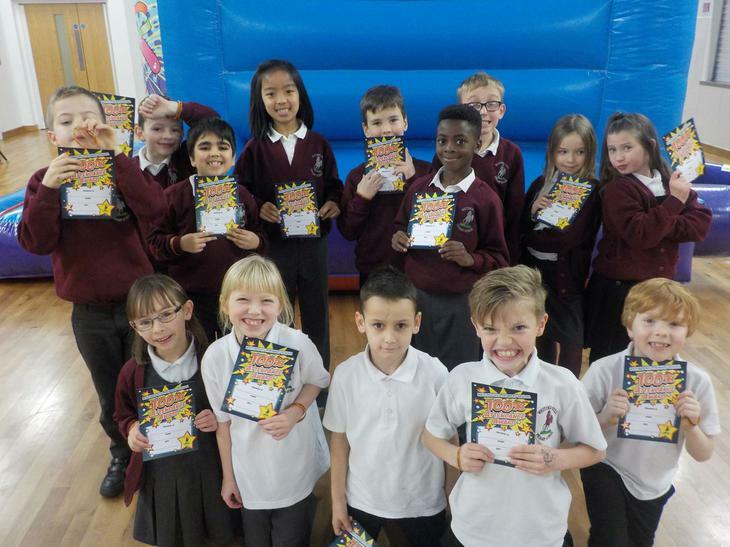 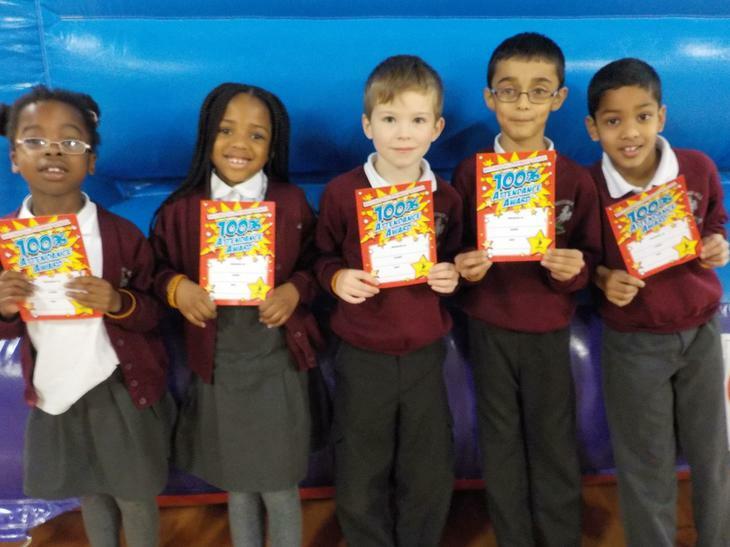 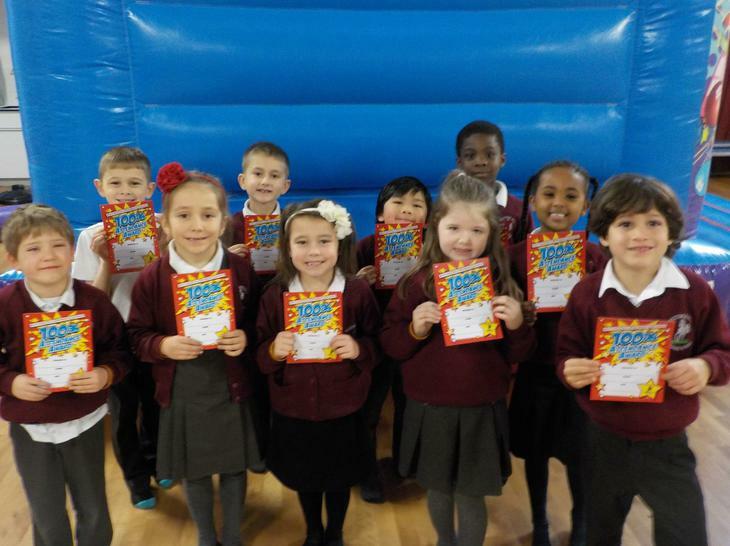 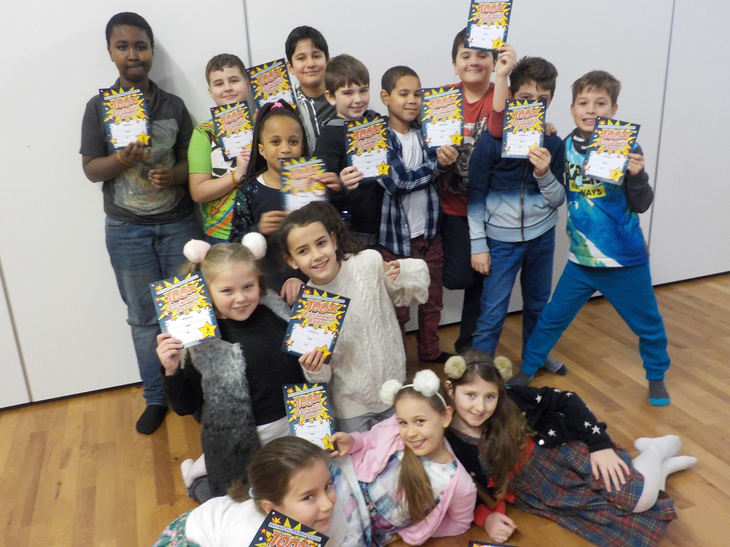 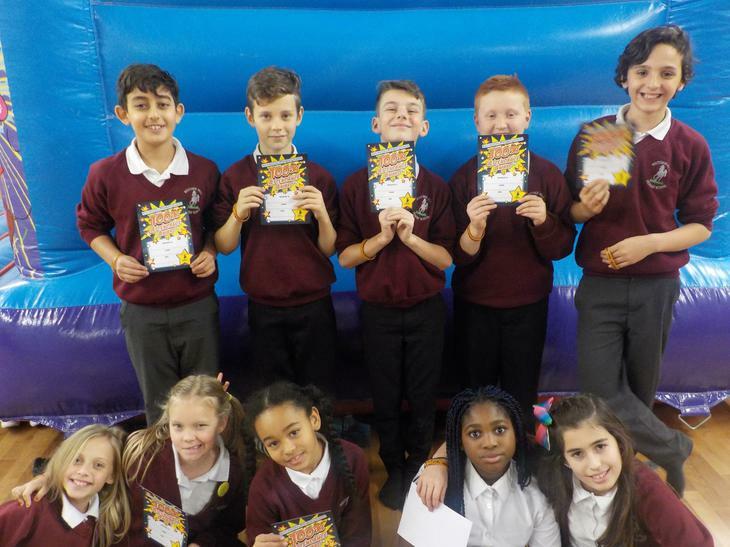 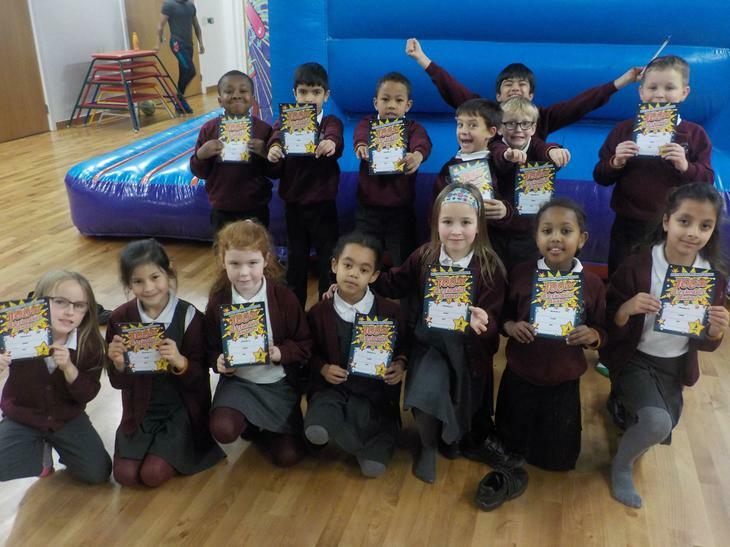 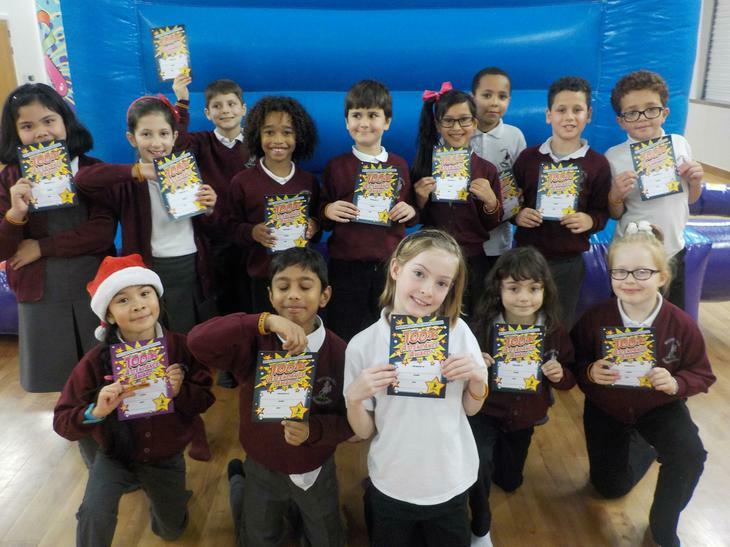 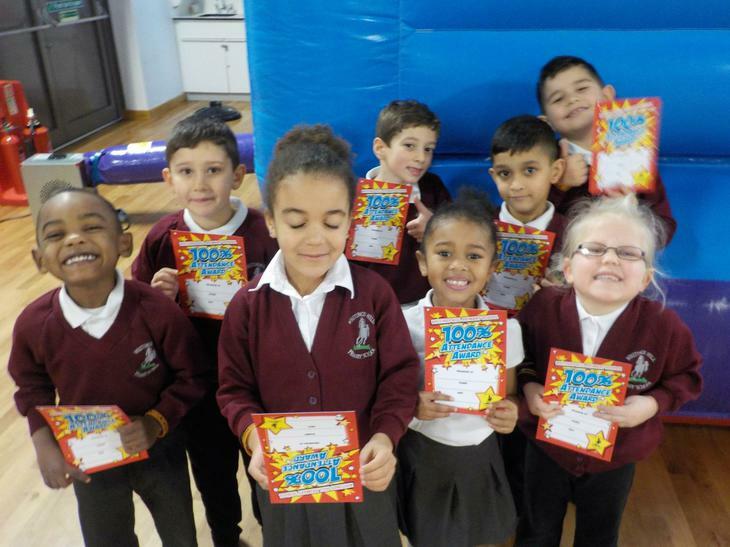 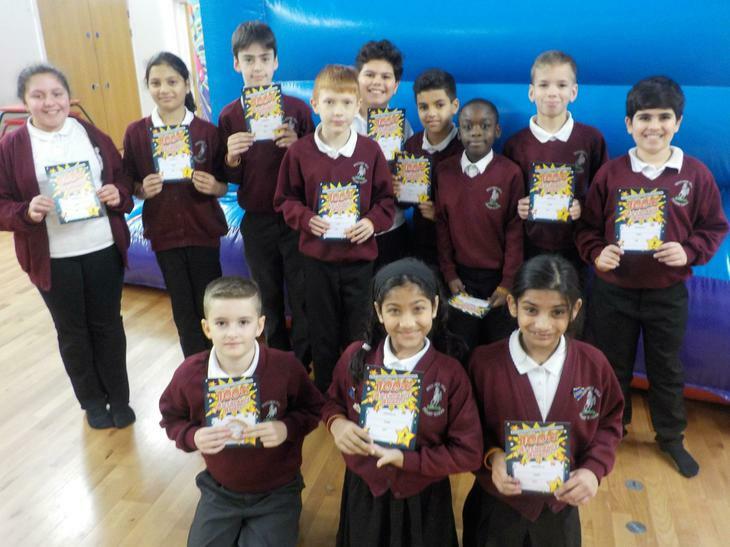 Congratulations to the children who achieved 100% attendance last term. 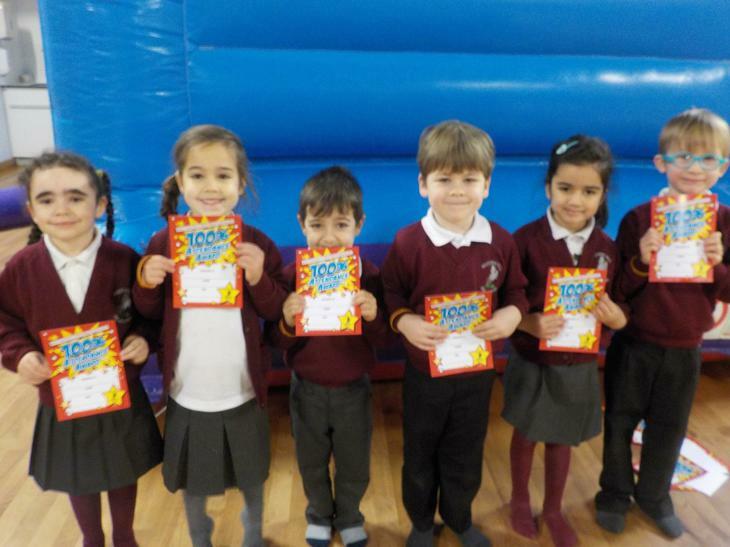 They were rewarded with a new Whitings Hill Attendance Certificate. 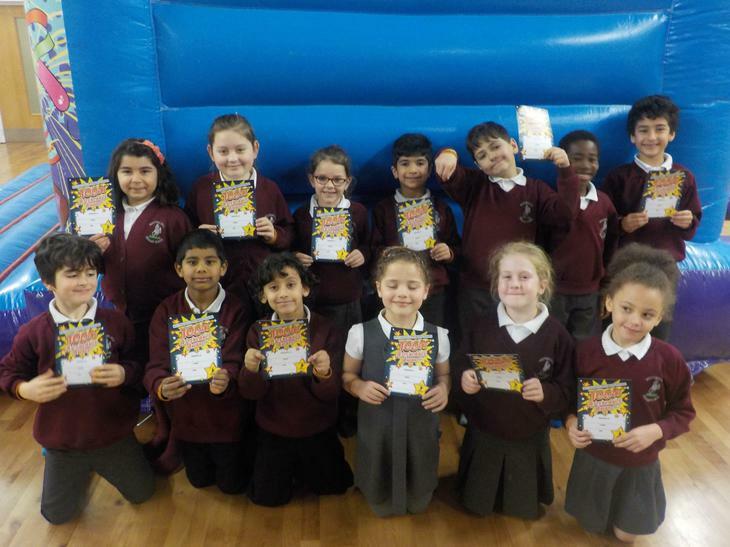 They were also given a new bronze wristband, and will get a silver one if they are in school every day this term. 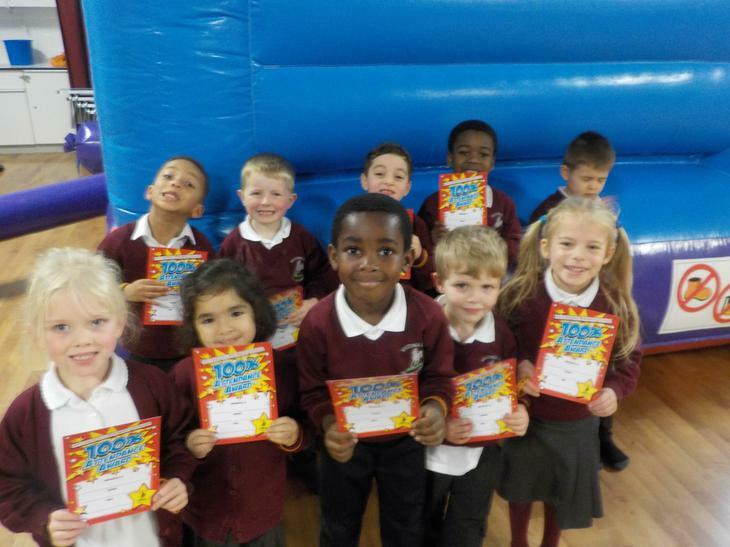 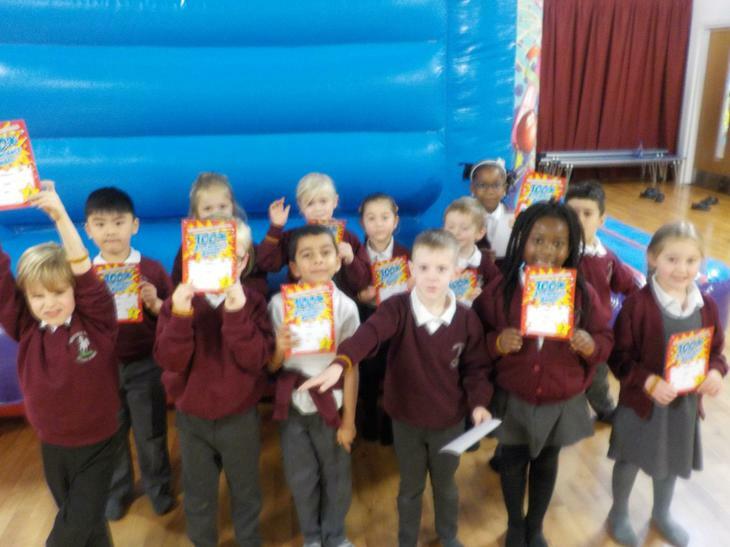 As a treat children were collected from their classrooms and had a bounce on our bouncy castle!